Chinkie T. Pelino-Golle. 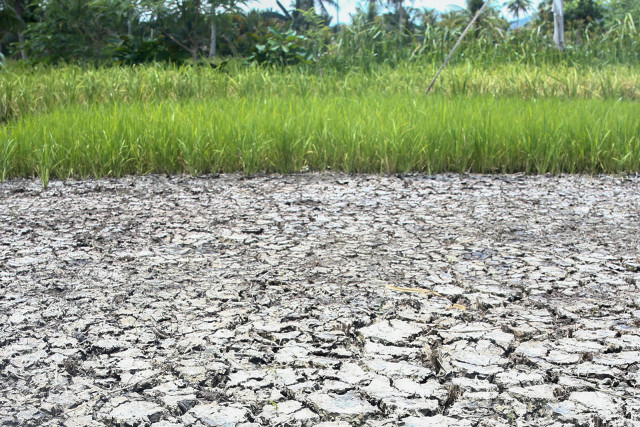 acting executive director of the Interface Development Interventions (IDIS) said they commend the Department of Environment and Natural Resources (DENR) for its bold decision against mining companies whose unregulated mining activities caused the devastation of the environment. “It is a long overdue action since the environment has already been devastated by the unregulated mining activities. Local communities have long been suffering from the destructions and continue to suffer from poverty,” she said in an e-mail. 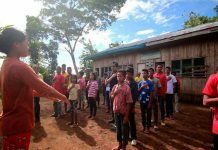 She added that the mining companies have failed to deliver on their promise of development to the communities and even violated environmental and social justice, citing how the mining operations have destroyed the biodiversity. “Biodiversity, supposedly, will support the needs of the people to survive and will ensure a balanced environment. But with the mining operations, biodiversity is also gone and so are the benefits they give,” she said. She also called on DENR, local government units (LGUs), and mining-affected communities to work together to rehabilitate the mined areas. “Let us give DENR and this government, a chance, to uphold environmental and social justice,” she said. In a text message, Dr. Jean Lindo, an environmental activist from the Panalipdan Mindanao, said several anti-mining activists have been killed in their fight against operations of mining companies in their communities. “These communities have remained poor despite the mining operations. The rivers and coastal areas are very important source of water and food. They suffer food insecurity and health problems. How could we consider this responsible mining?” she said. “The claim of the apologists that mining closure as the cause of suicide is irresponsible. Extreme poverty and disaster will trigger suicide. They cannot use the workers as economic shield. They do not genuinely care about workers. I would rather see the government support agriculture than resource extraction that consumes more than it gives,” she said. Mylai Santos, director of Ecoteneo Division of the Ateneo de Davao University, echoed the same support for Sec. Lopez by saying it was high time that the stakeholders put the environmental and people’s general welfare at the forefront of development. 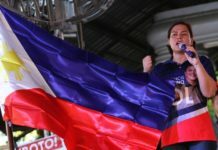 “This is to show you that whatever dictum I make on watersheds, this is in fact protected by the Mining Act of 1995 which says that we must enhance national growth in a way that effectively safeguards the environment and protects the right of the affected communities,” the release quoted Lopez. The release added that last week’s closure of 23 mining operations – 15 of them operating within the watershed areas – were based on the outcome of the industry-wide audit conducted by DENR since July 2016. Rodulfo Palma, president of the Alliance of Responsible Miners of Region (ARMOR) 11, called for “due process” in the issuance of closure orders and cancellations of MPSAs by the environment chief. “It’s not even a usual Valentine’s gift for all the communities, specifically members of the host communities of the mining companies,” he said. “For mining companies, what we are waiting for is the serving of the notices so that the mining companies can also evaluate and know the specific basis for the cancellation or issuance of such order without which, the mining companies would be in limbo on what to do,” he said. Mines and Geosciences Bureau (MGB) 11 director Wilfredo G. Moncano expressed dismay over the environmental chief’s pronouncement by saying her decision is not only killing the mining industry but also veering away from President Rodrigo R. Duterte’s promise of industrialization. “It’s a sad day because …the statement or pronouncement of President when he assumed office that the direction of the country is for industrialization. Now what will happen to that direction if the mining industry is slowly being killed? The mining industry for that matter is an important component of industrialization. We want to produce our own steel products, we need to have mines operating to feed to these steel manufacturing companies. It will really be a direction that is contradicting the direction of a president,” he said. Lopez announced on February 14 that 75 MPSA’s will be given show cause orders, 37 of them in Mindanao. He said about 400 direct workers will be displaced by the closure order but he added mining companies will suffer from major losses in terms of future investments.